Drumroll, please! A brand NEW ReadingWithYourKids Certified Great Read is here!! This is an exciting moment for us and we’re overjoyed to announce Rat’s Musical Band by Wendy Elizabeth White has won the Reading With Your Kids Certified Great Read status! At Reading with Your Kids, we firmly believe that one of the best ways to help kids learn about the world around them and inspire them to see the beauty in all people is through READING and it is our mission to encourage parents and caretakers to make reading a top priority in their families life. We LOVED Wendy’s book as it teaches kids that being different is not a bad thing and how those differences make the world a much more beautiful place! Read on to learn more about Rat’s Musical Band and help your kids learn to celebrate being themselves! We hope you and your family enjoy reading this book as much as we did! A Blue rat? Yes! That’s right! And today Rat has a tune on his mind. Some musicians would make the tune sound just grand…..read how he finds his musical band! 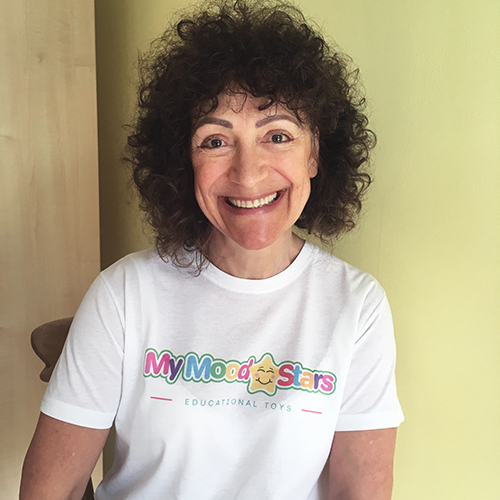 Wendy Woo is a published author and an experienced childminder of more than 20 years. She was never going to be a famous ballerina, singer, or actress, not only because she can’t dance, sing or act, but it didn’t really appeal to her. She wanted to be Mary Poppins… A “practically perfect” kind and magical nanny that all children loved and obeyed! Oh, how I loved this book! Rat’s Musical Band written by Wendy Elizabeth White and illustrated by Mrs. Claire Frances Rollinson is a story about a BLUE Rat who has a tune on her mind but she thinks something is missing and some musicians and vocalists would make the tune sound just magnificent. Rat then goes on a hunt to find animals with exciting new voices to join her band and to help her create her desired tune. She is soon joined by a bee who agrees to be a part of the band and buzzes with her might, a mouse who lends his voice, A cricket who chirrups happily, a snake who hisses, a fog who croaks, a lark who sings with her might and together they form a wonderful musical band! Wendy’s book is a beautifully illustrated story which introduces kids to so many different animals and the unique sounds they create. With a striking picture of a different animal on each page, this book will interest young readers and make them curious to know more about each of these animals. Catchy illustrations are done in a style that makes the story comprehensible and relatable. Learning animal sounds is an important development milestone for kids and Wendy’s book is a fun way for kids to learn about the different sounds these animals make! It can be used by both parents and teachers to educate young minds about different animal sounds and teach them about wildlife and natural resources on this planet in a really fun and entertaining way. This book also has a wonderful message for children that even though we’re all different from each other, we all experience the same things in life and looks don’t define a person. These are all important lessons to learn and Wendy White’s charming picture book is just the book to help young readers learn, not just about seeing the beauty in all people, but what it means to have so many unique qualities and attributes which define each one of us. This exciting and gorgeously-illustrated story shows how being different is no bad thing, and can lead to lots of fun and friendship. A must Read picture book…Funny, delightful and educational! We’d absolutely recommend this book to parents, teachers, and librarians who are looking for a unique way to introduce children to animal sounds and also to teach them some valuable life lessons about friendship, caring, and kindness. This book is not only a must-read but a must-have! Looking forward to picking up the next book in Rat’s Band series as soon as we can! Great job Wendy Woo!